Buy 1 20 min voice recording get 1 free. 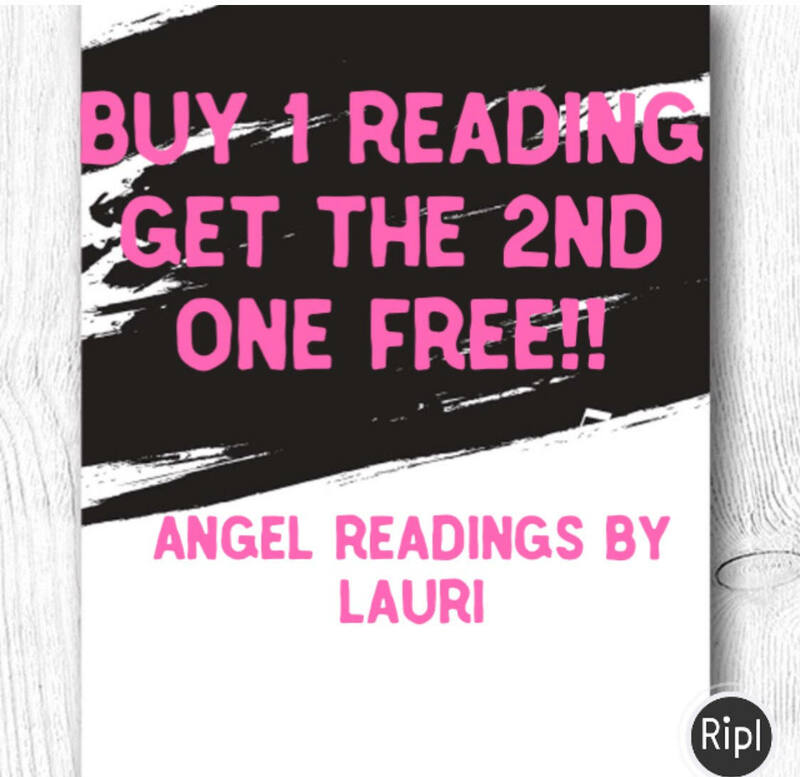 The 2nd reading can be given to a friend or used at a later time of your choosing. Just message me when ready. Please allow 1- 7 days for the reading. It can be on any subjects( no inappropriate please) I get messages from The Angels along with using oracle cards. This will come to you through Google and can be listened to over and over. I will just need your email. My friend and I found our readings very useful in our lives and relationships. Laura is amazing and really cares about the people she does her readings for. I would absolutely recommend her if you are looking for some guidance from your guides and angels <3 Thank you for everything Laura!!! I've had several readings with Lauri now and have enjoyed them all. Lauri is caring yet honest, and her readings are always detailed, insightful, and truthful. Thanks for the enlightening reading, it resonated my current situation. I were given some reference titles to help me to set my foot on the ground. It is not just a reading, she give kind direct guidance ..... I hope i will find my Balance in a meaningful way. Well recommended to all. Wish her stay well & receive the best treatment. The information brought forth was extremely accurate. New details of my relationship and career that simply cant be guessed. Will definitely be back! Once again Lauri is spot on with her readings. Extremely intuitive and openly honest with her candor, which is greatly appreciated. Her audio readings are thorough and clear. My go-to girl for sure!